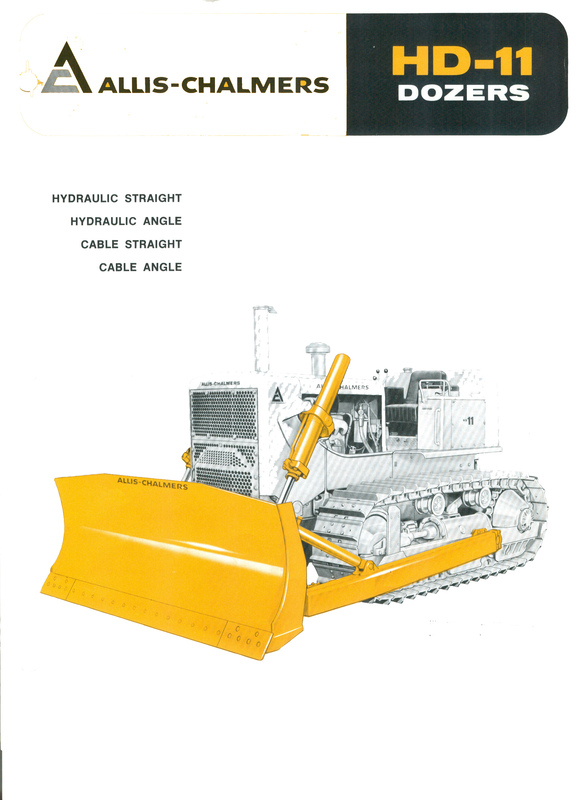 Heil hydraulic blade on an International Harvester TD-6 tractor. 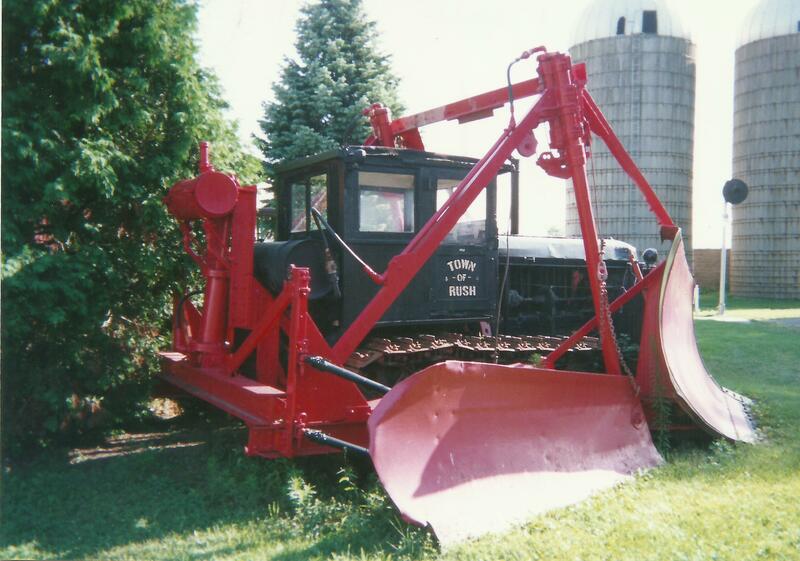 The Heil Co. photo. 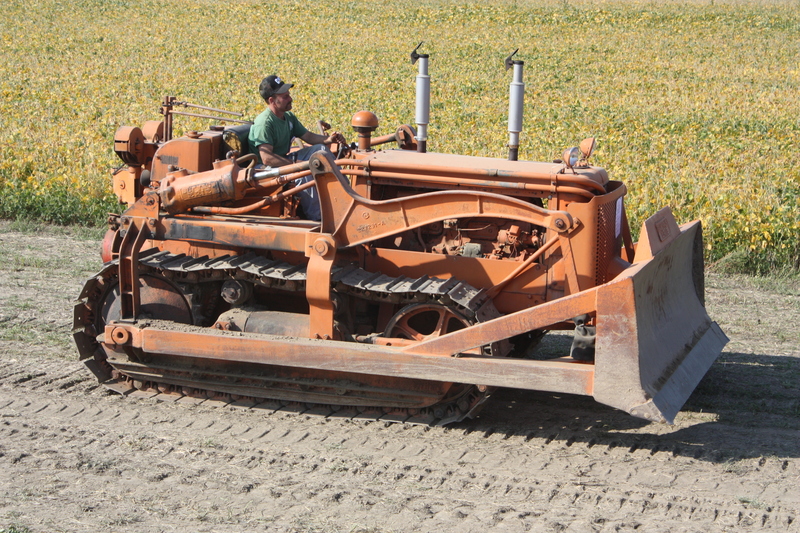 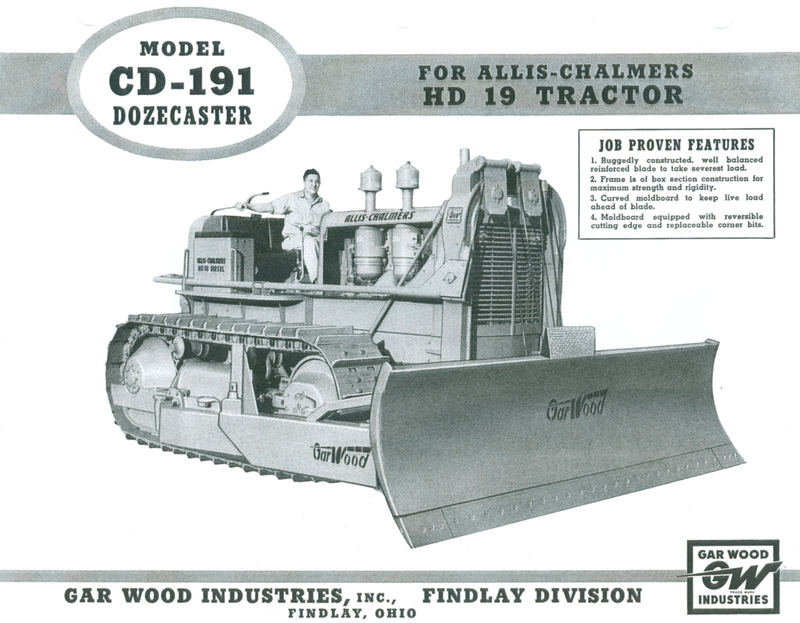 LaPlant-Choate hand-crank blade on a Holt T-35 tractor (1924). 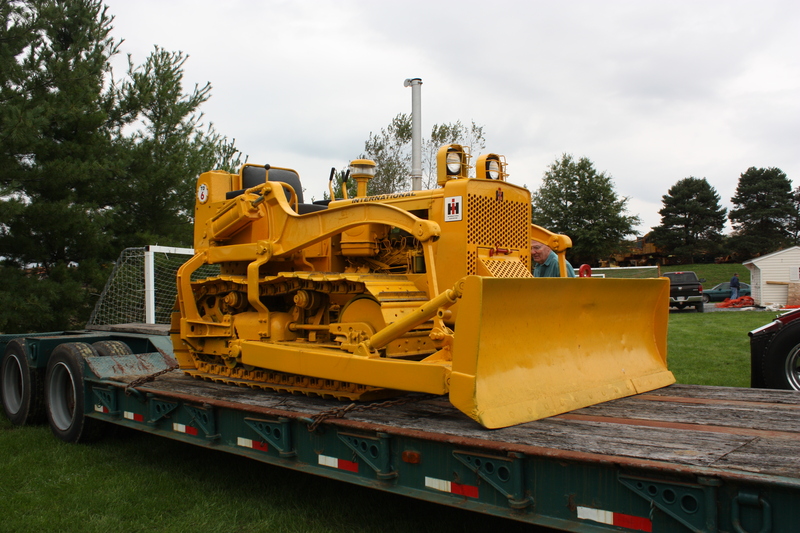 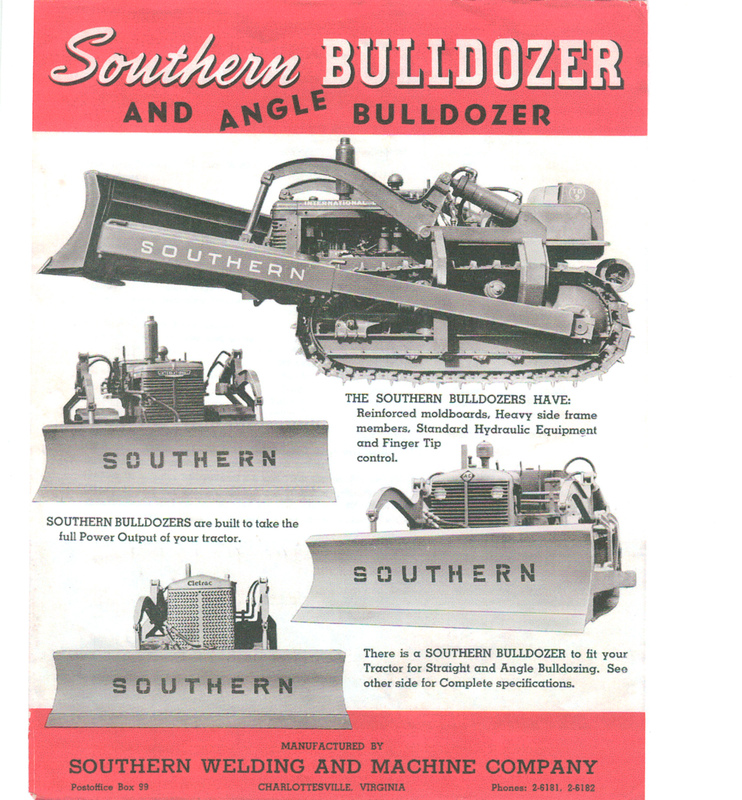 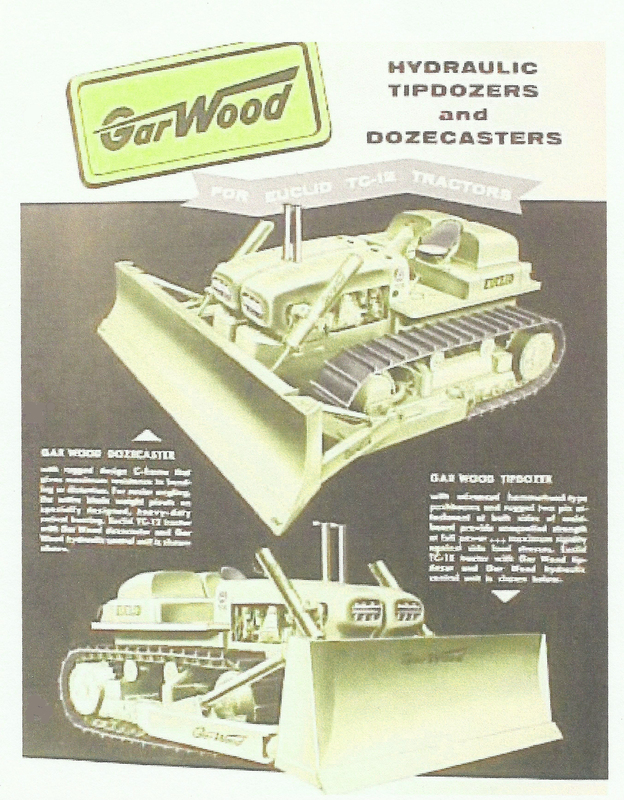 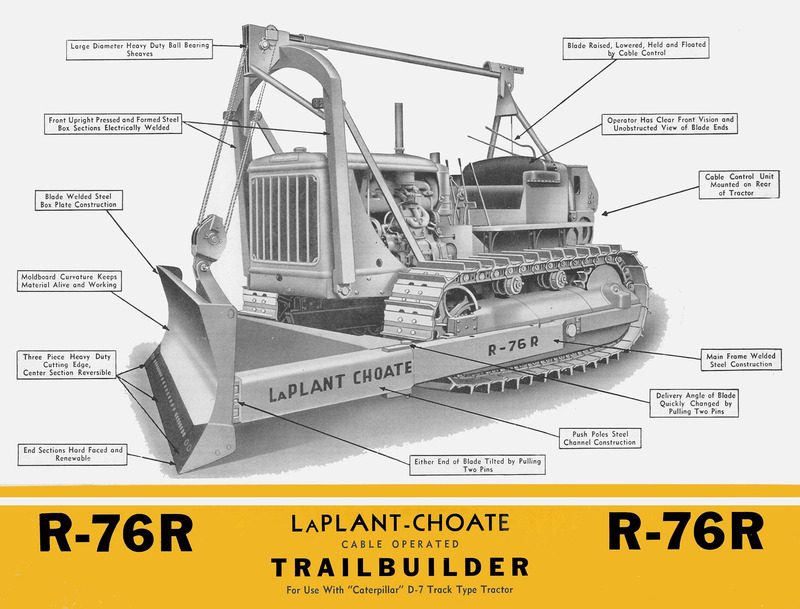 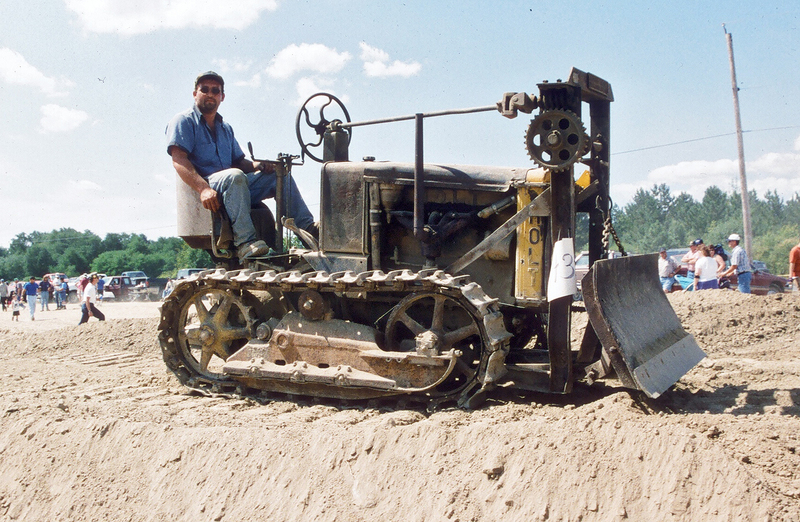 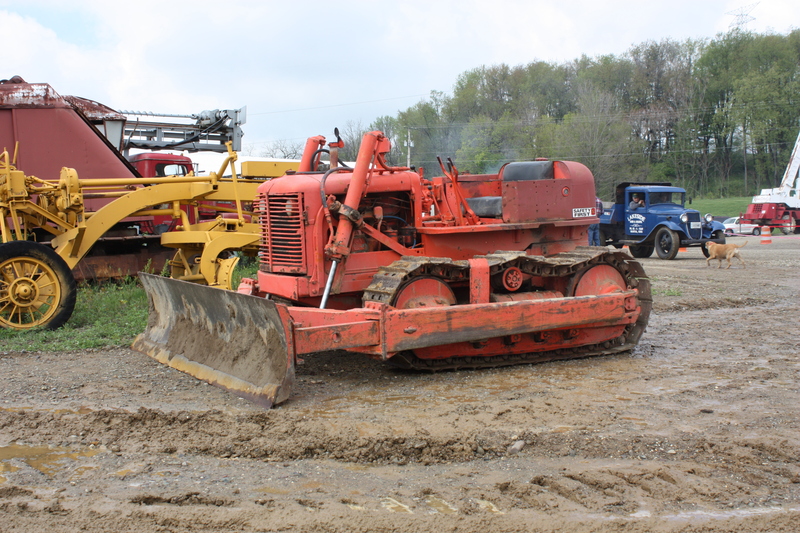 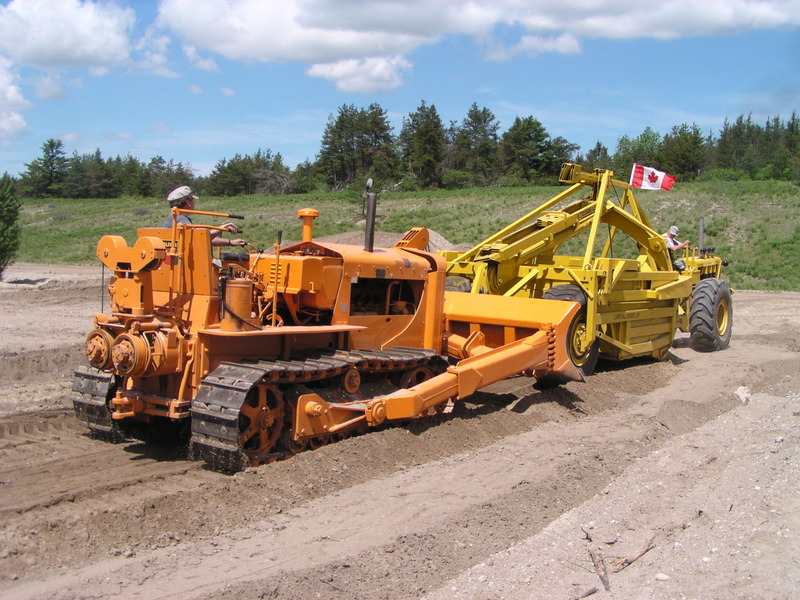 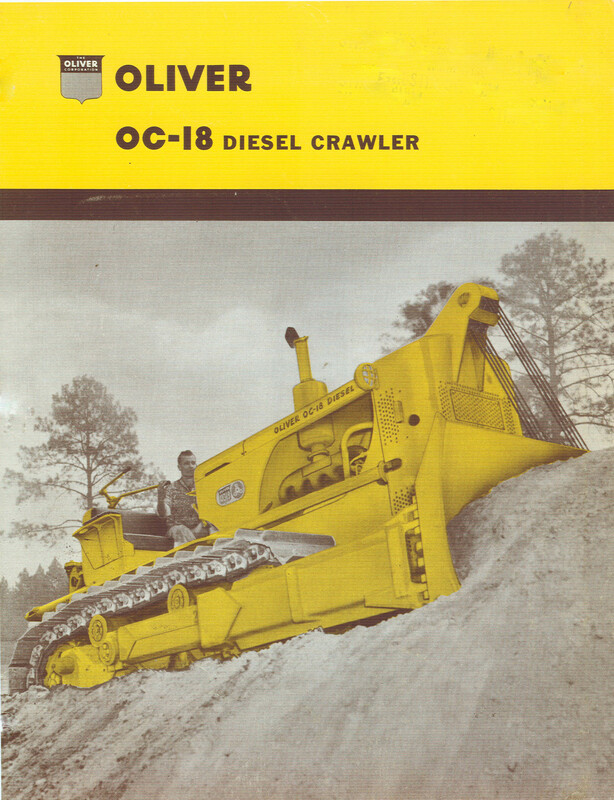 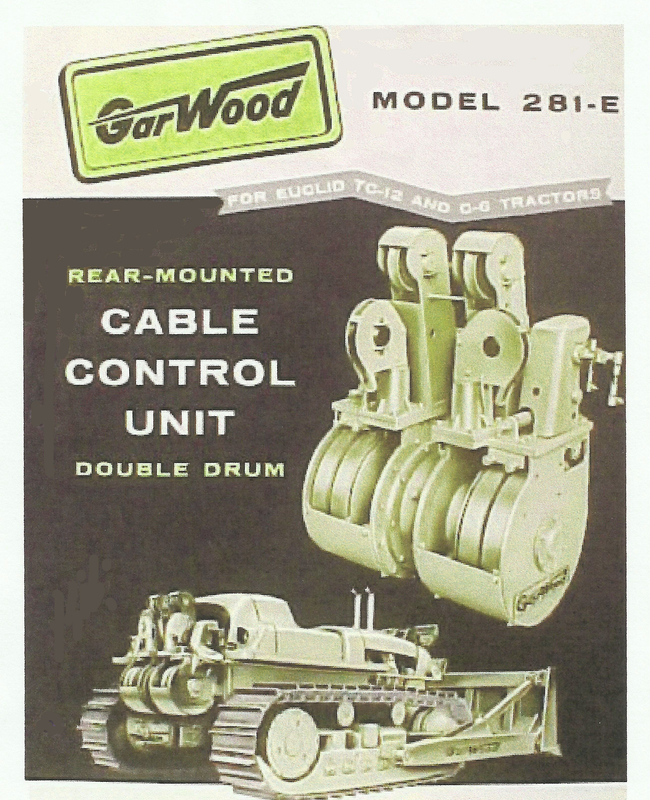 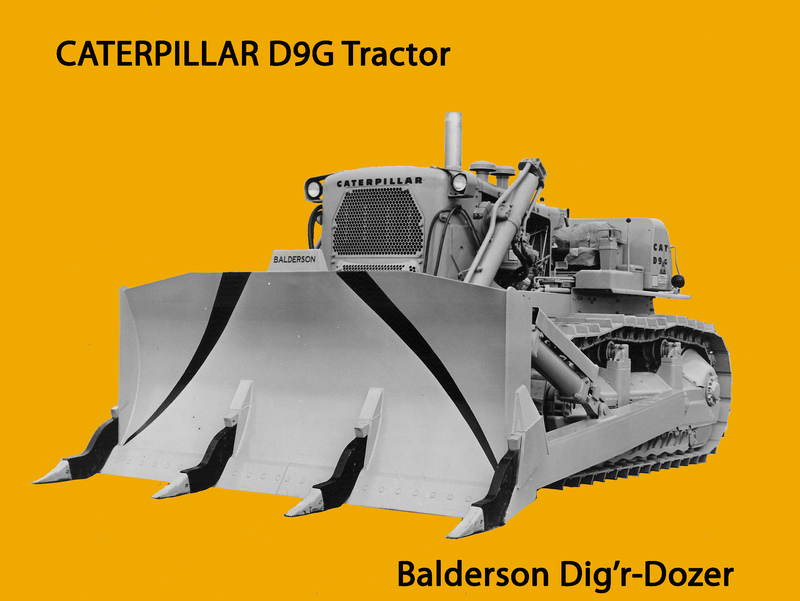 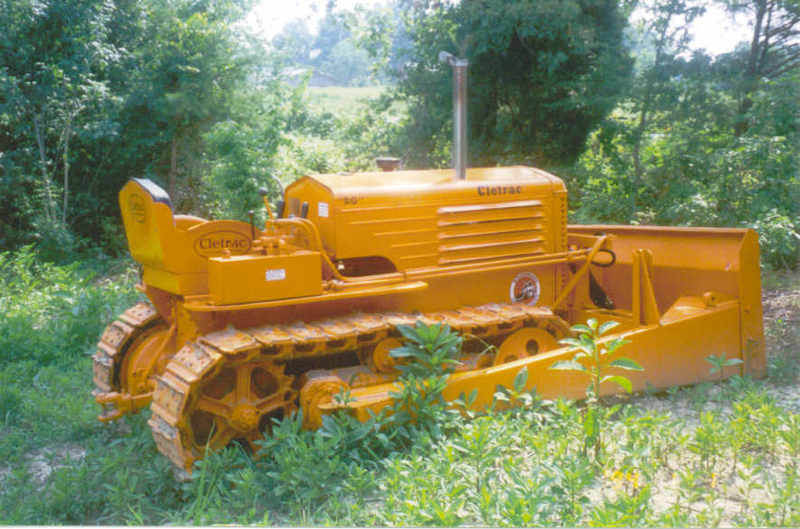 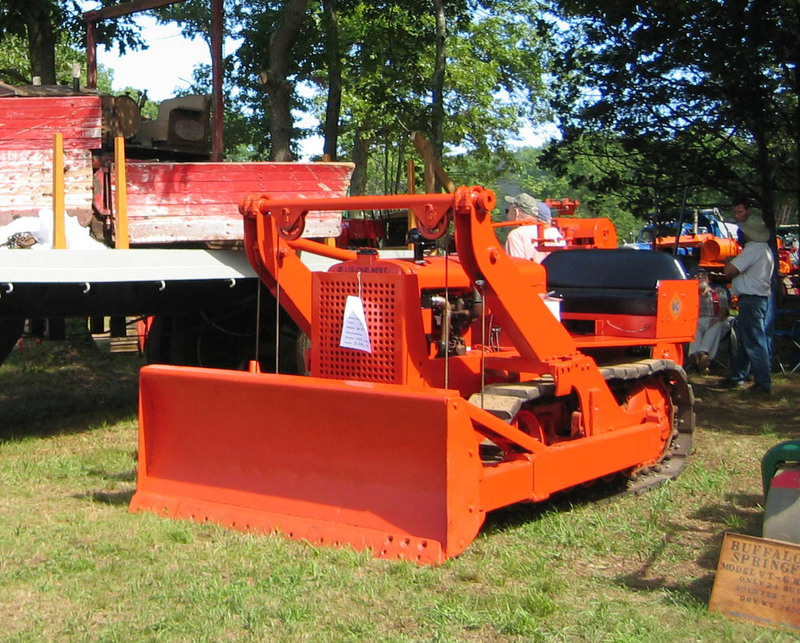 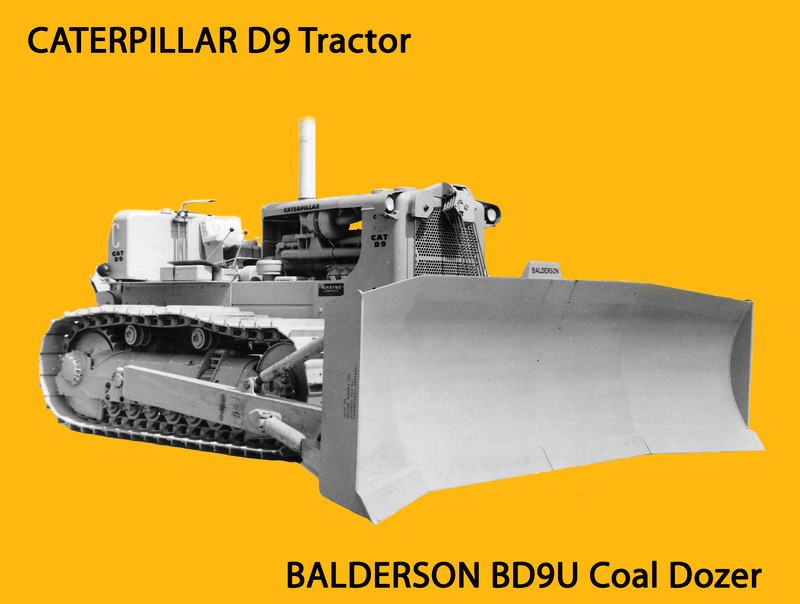 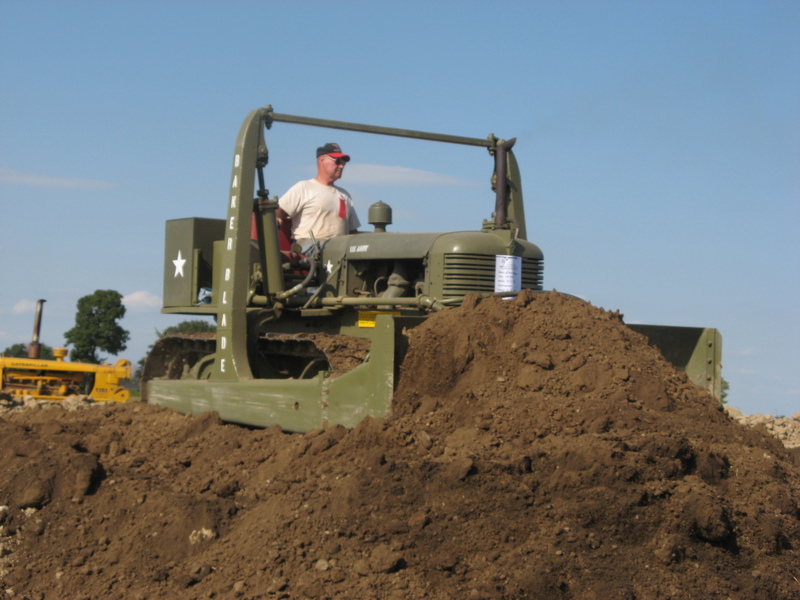 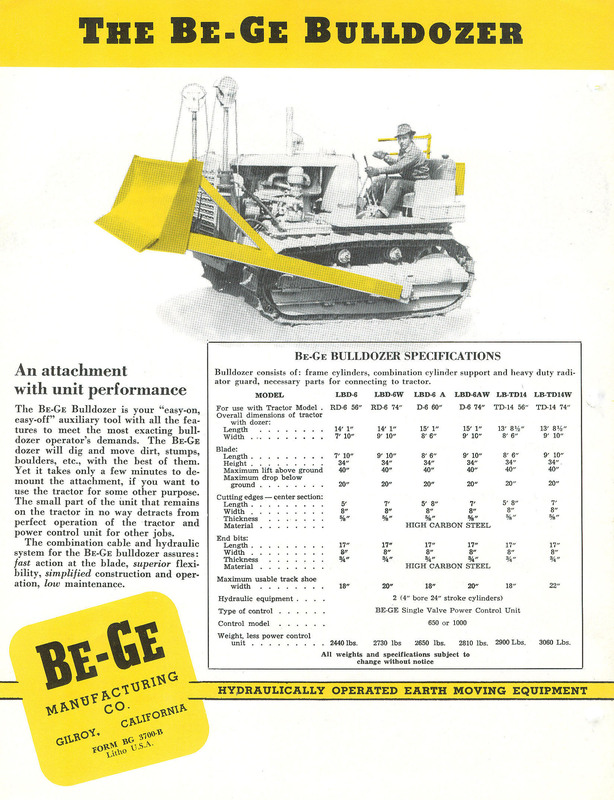 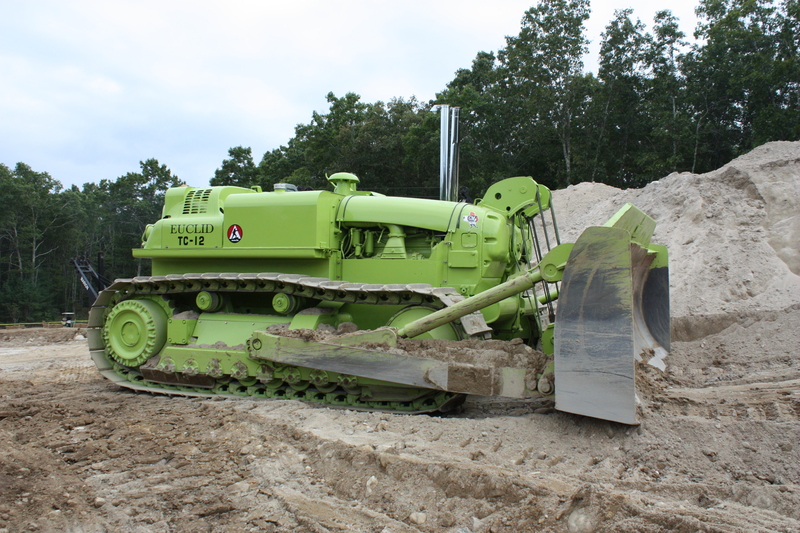 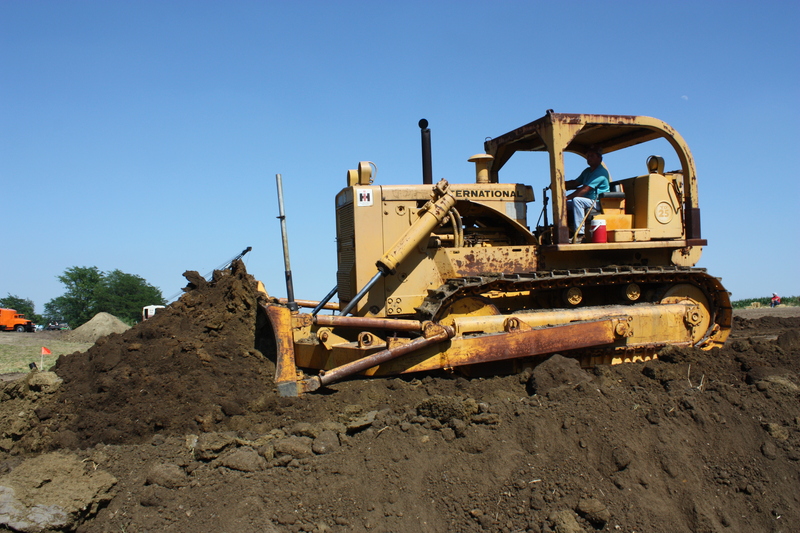 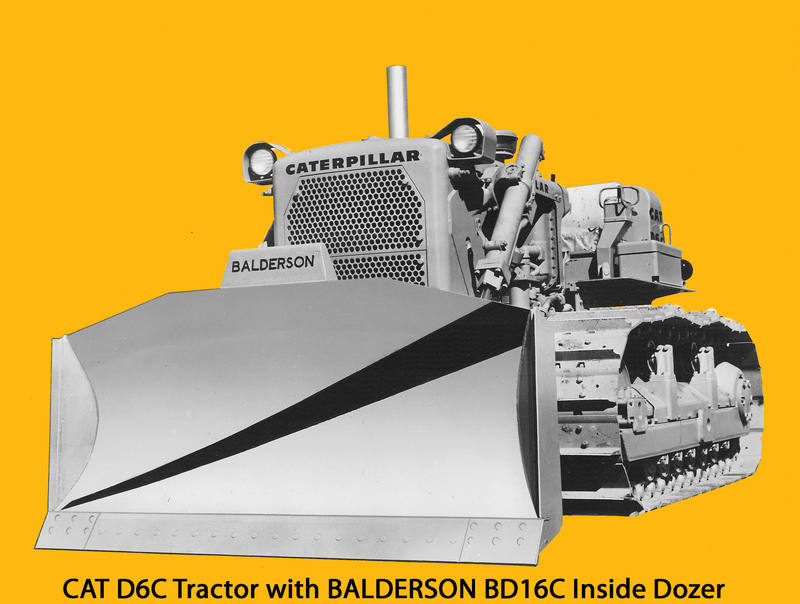 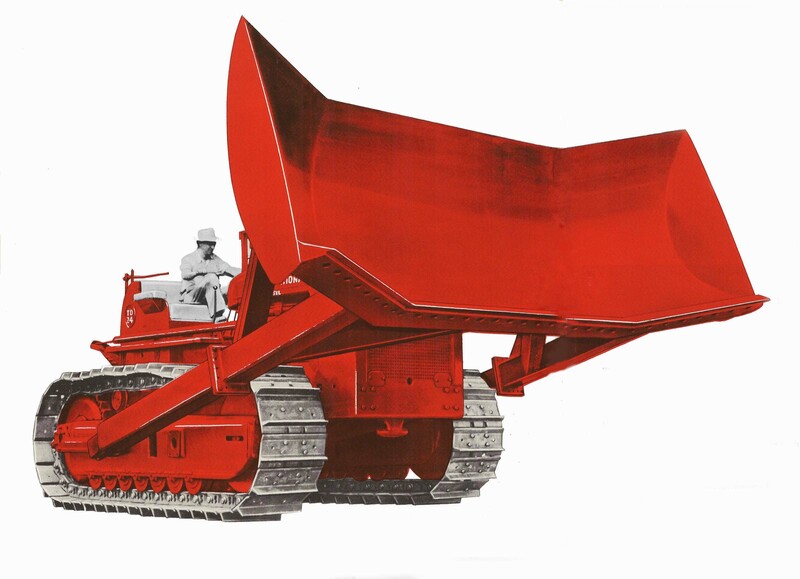 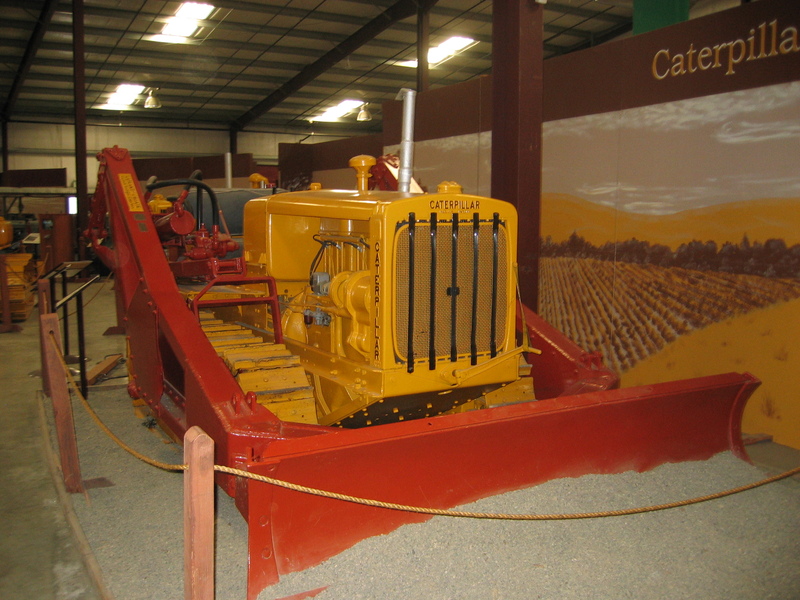 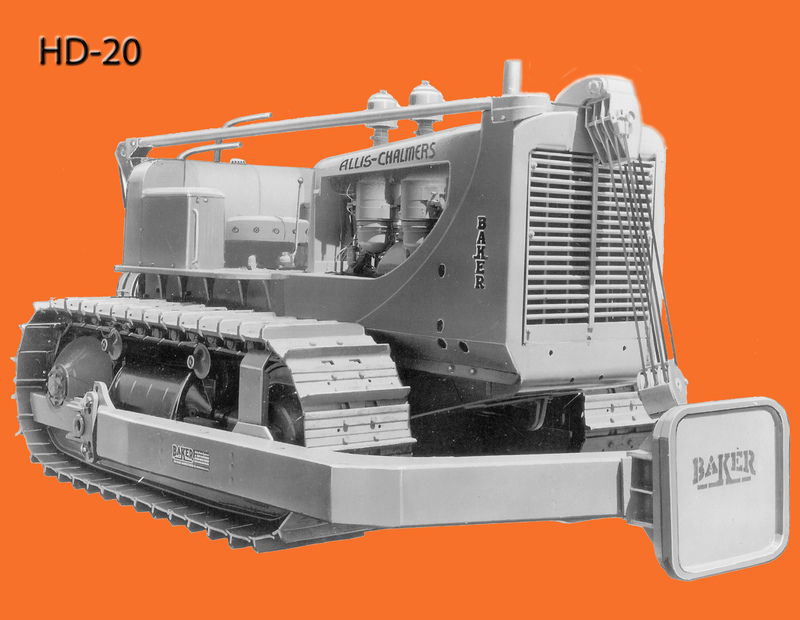 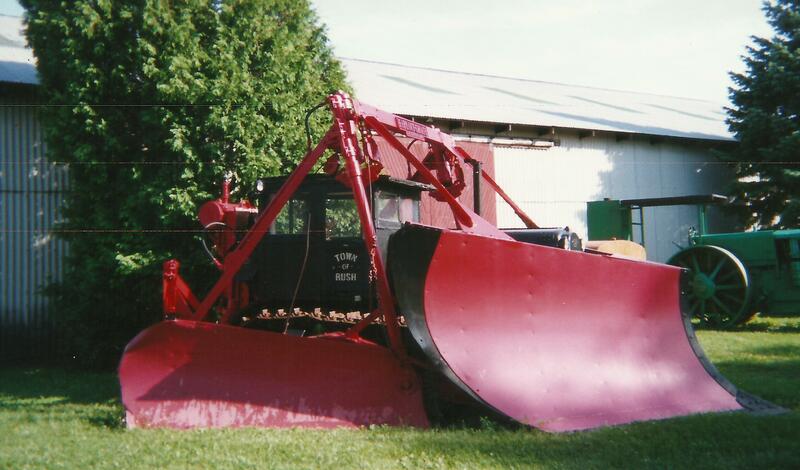 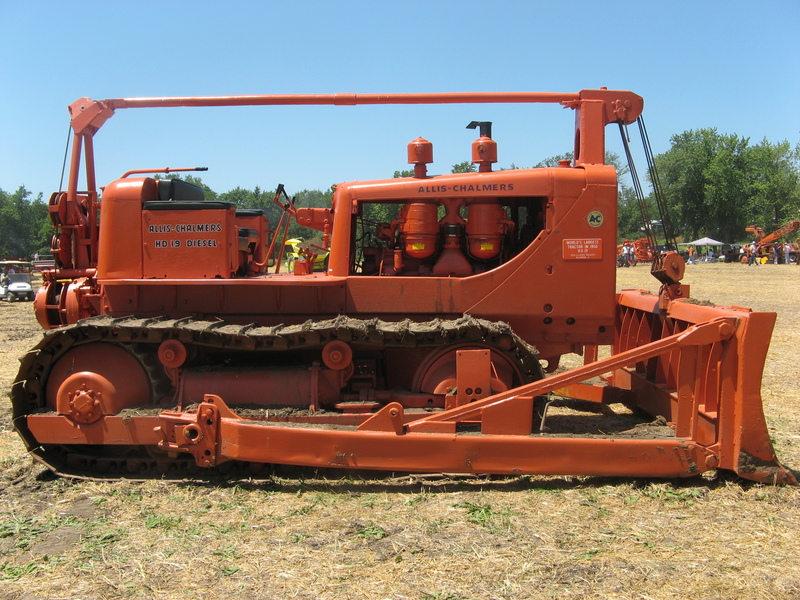 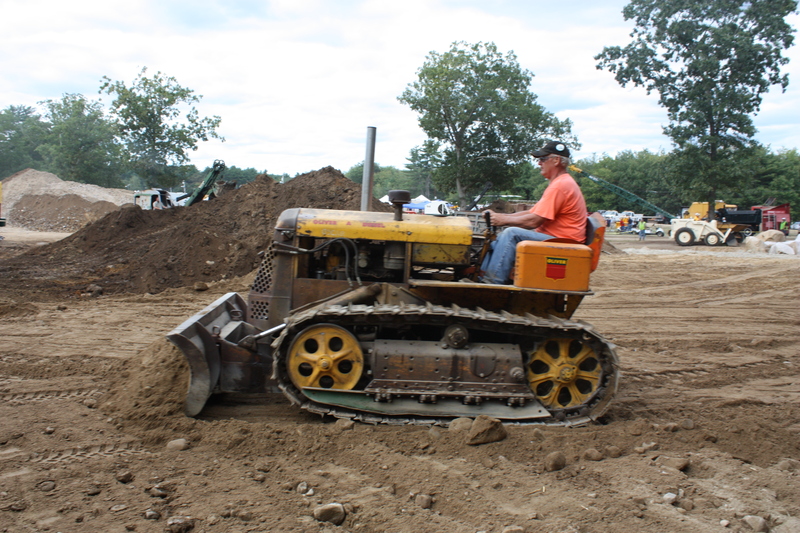 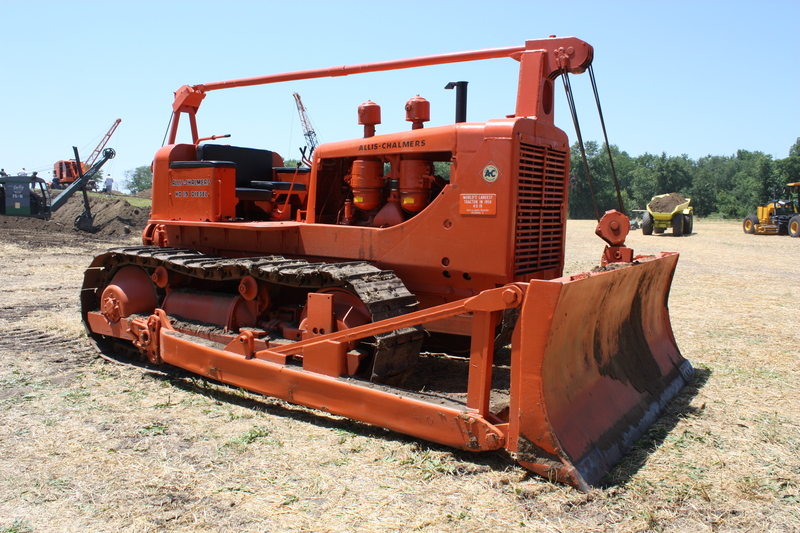 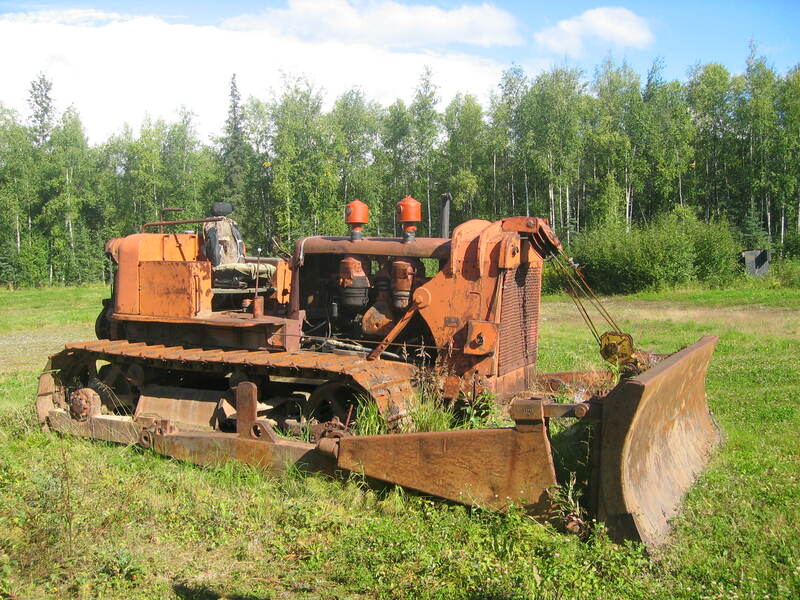 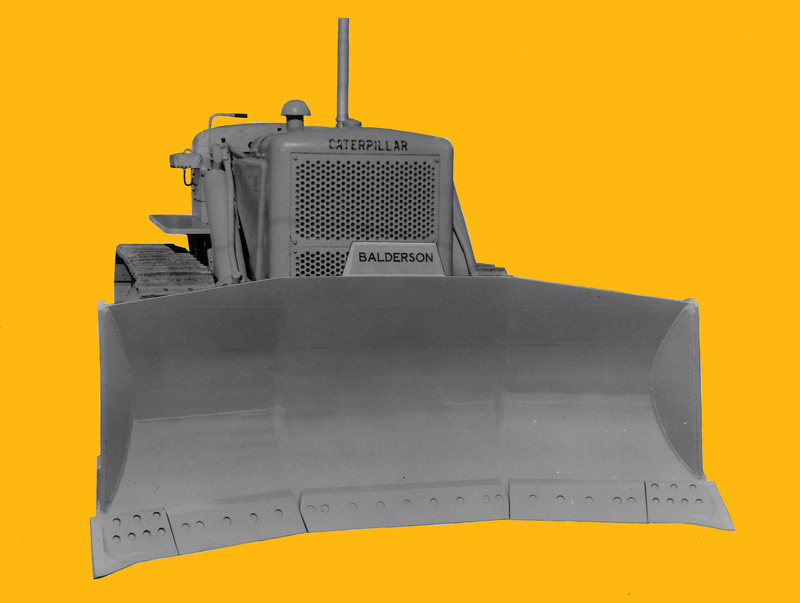 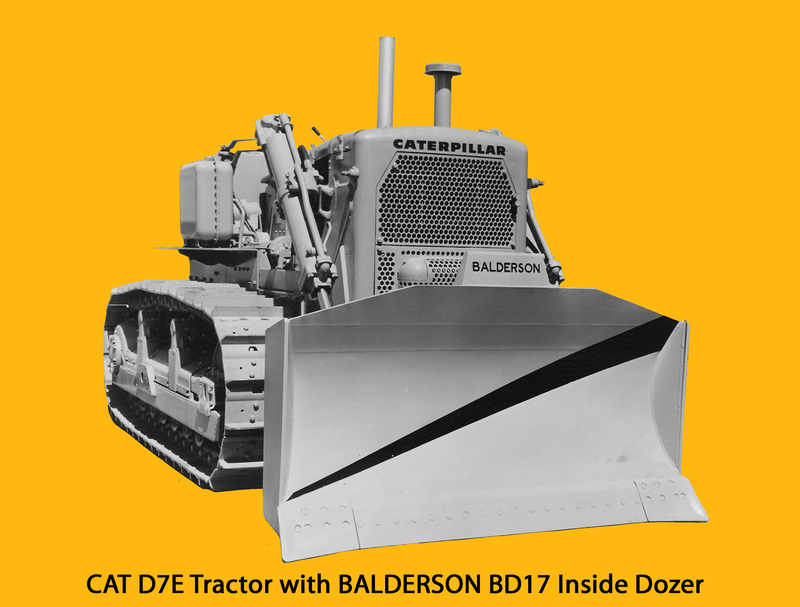 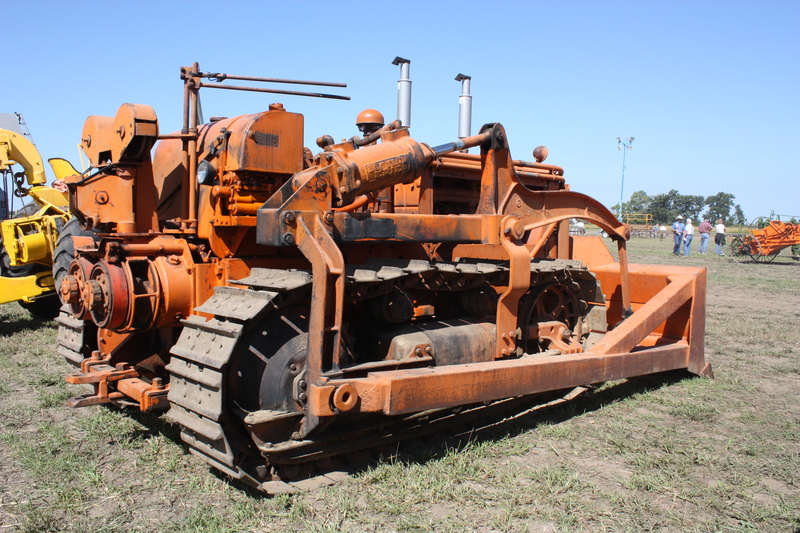 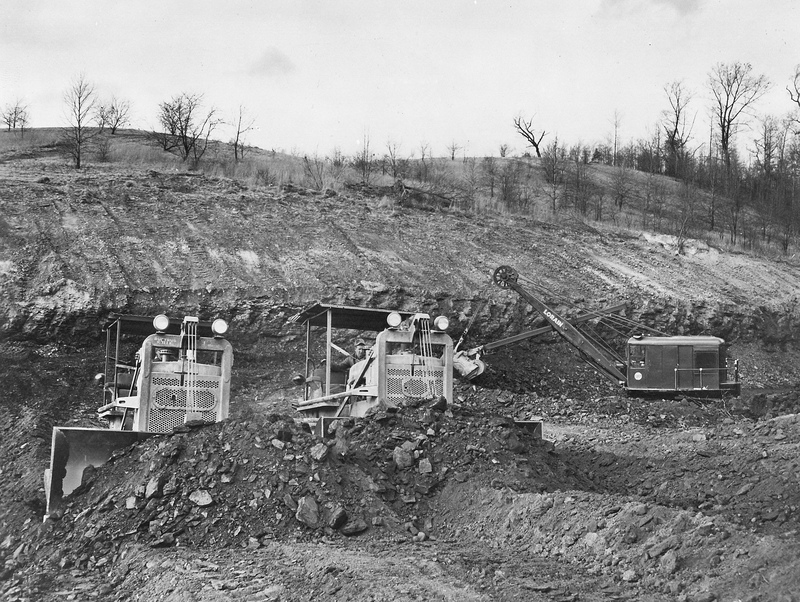 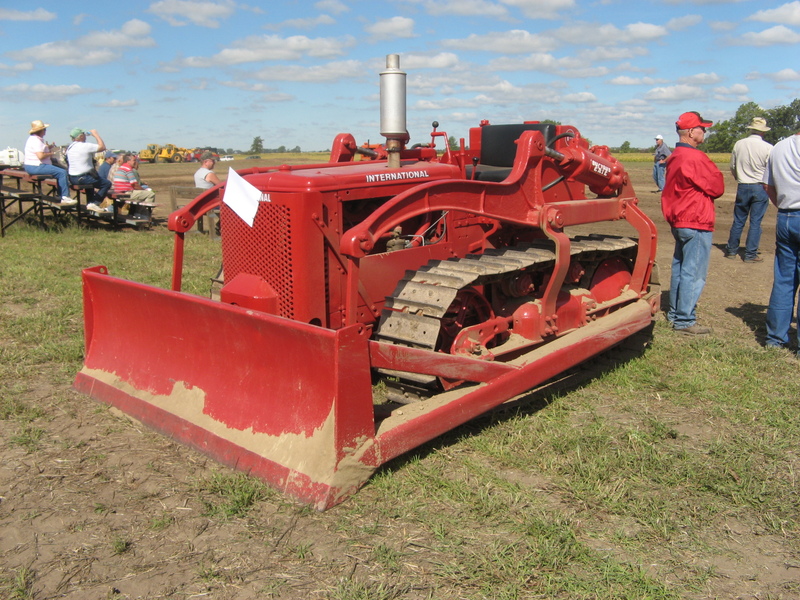 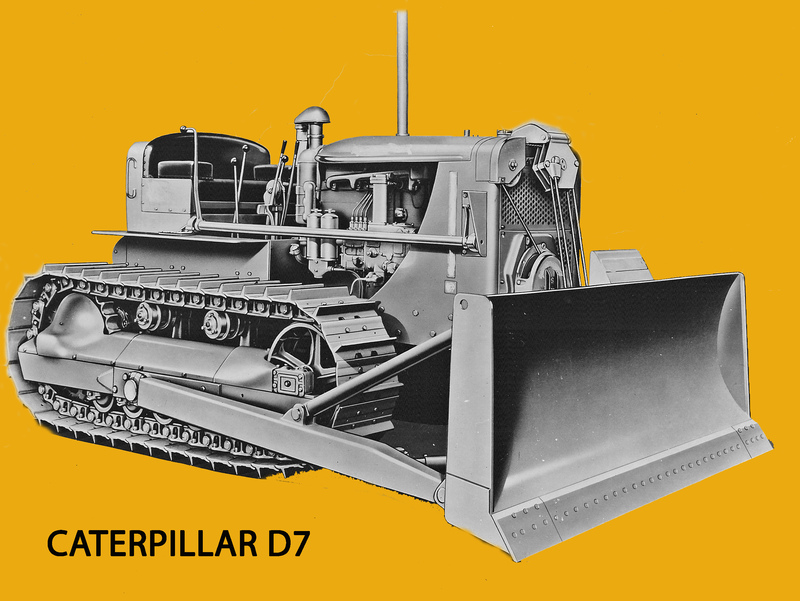 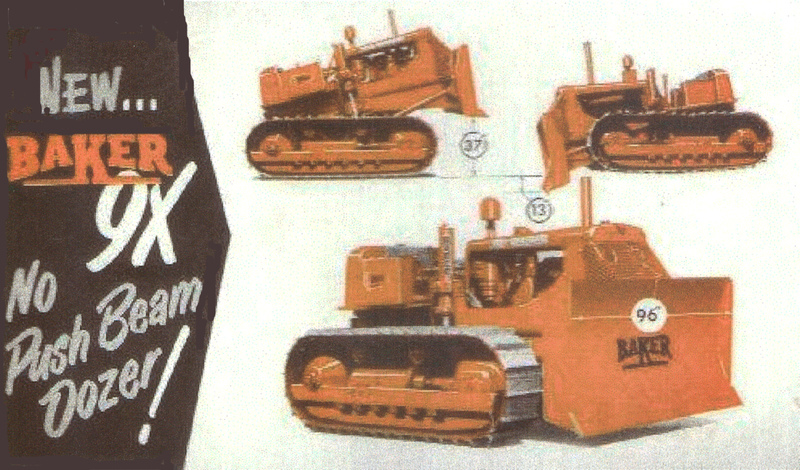 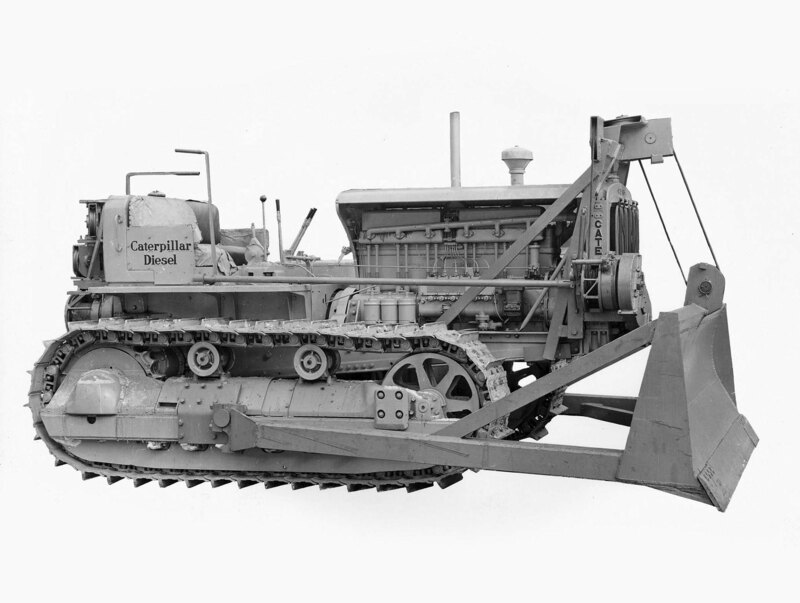 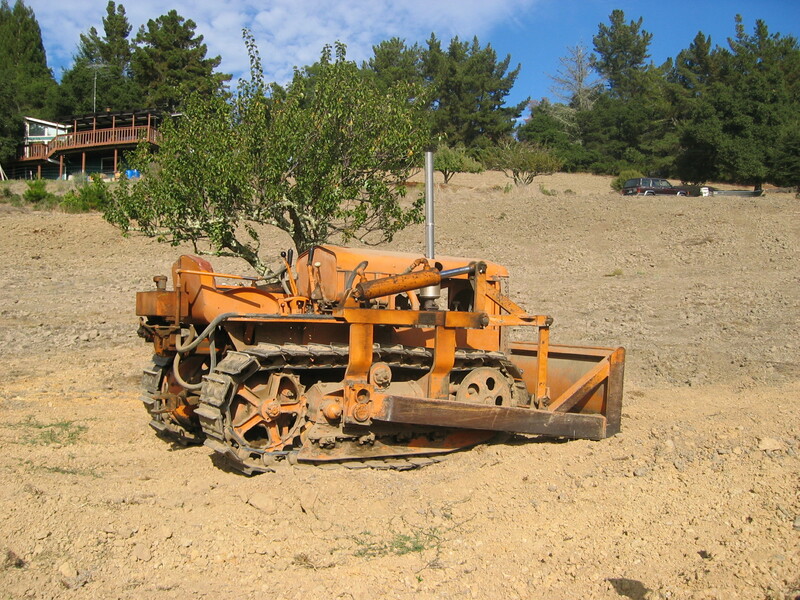 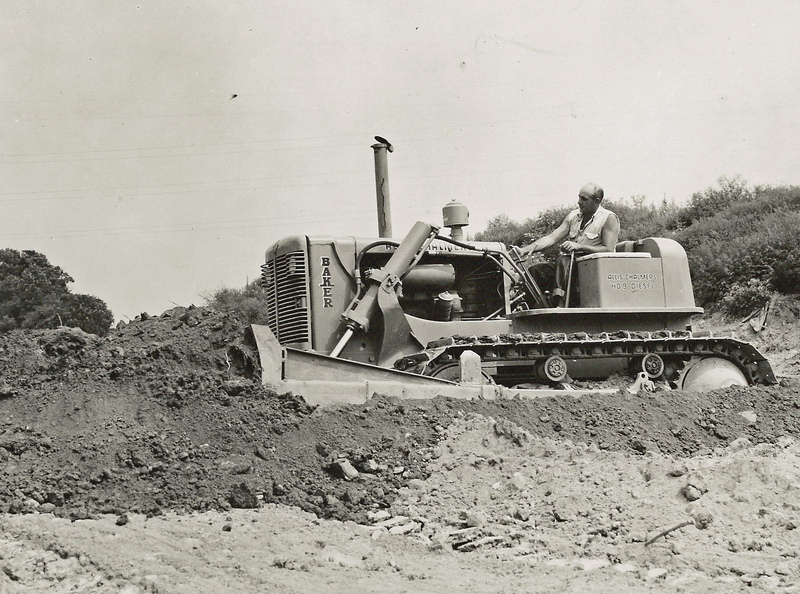 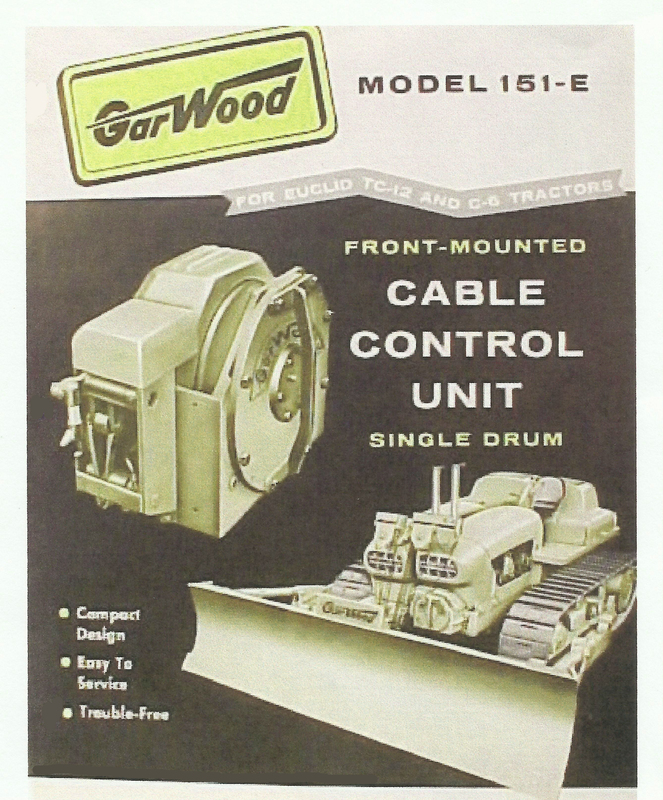 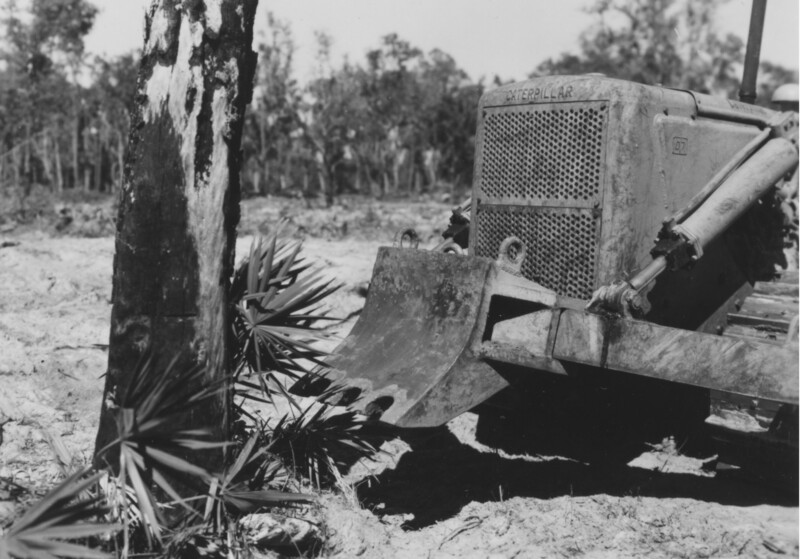 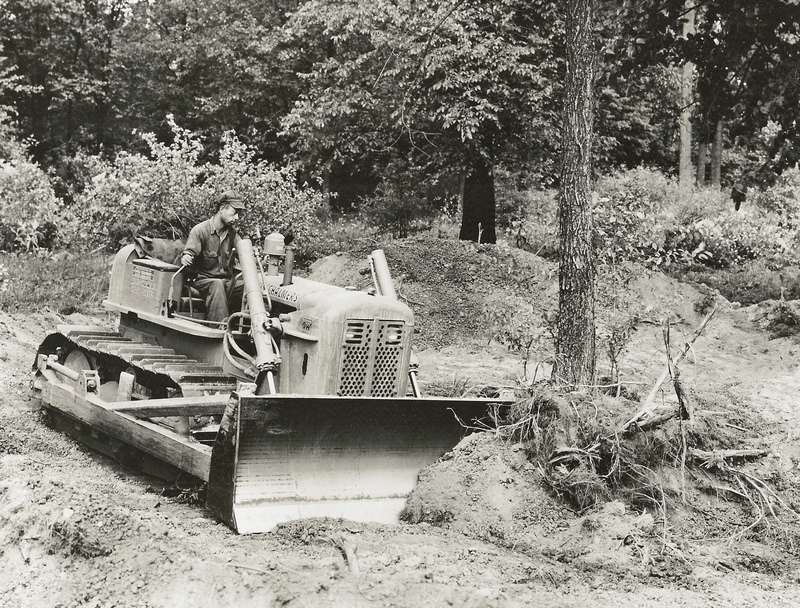 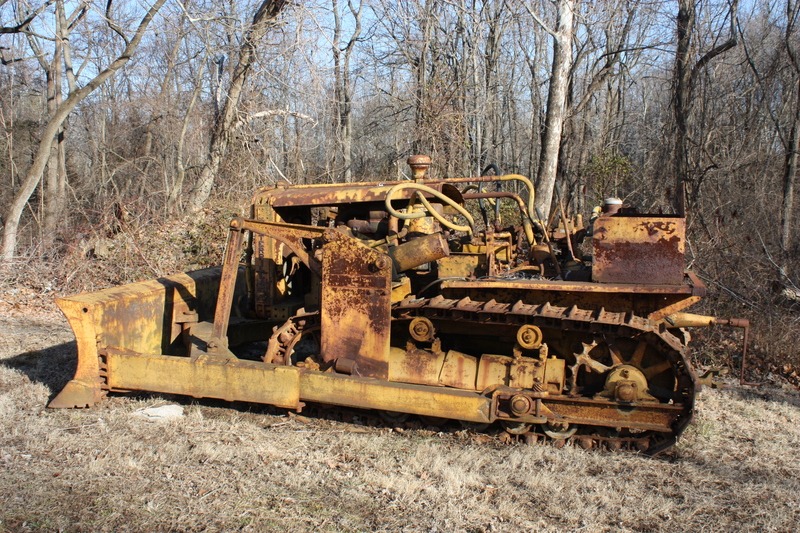 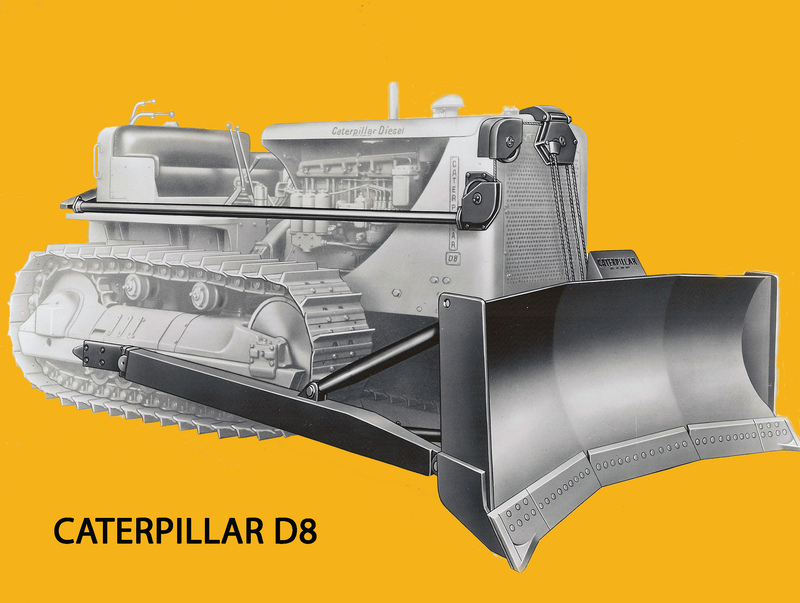 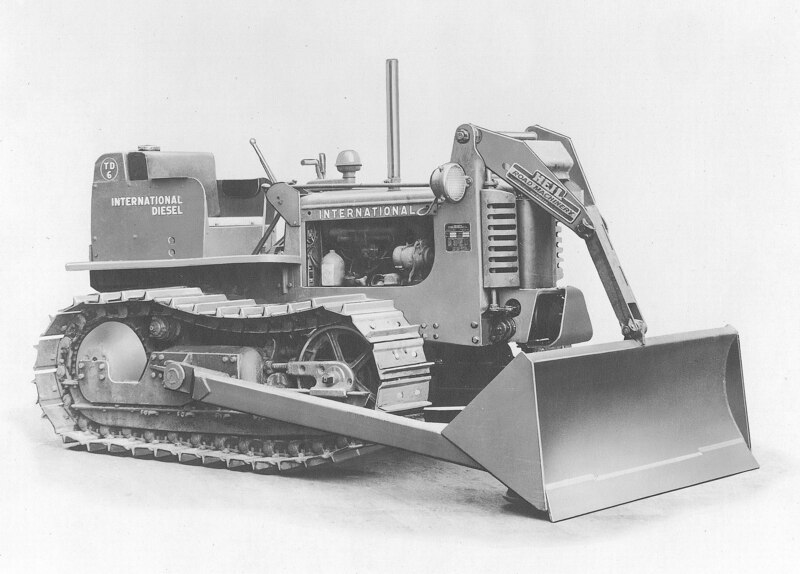 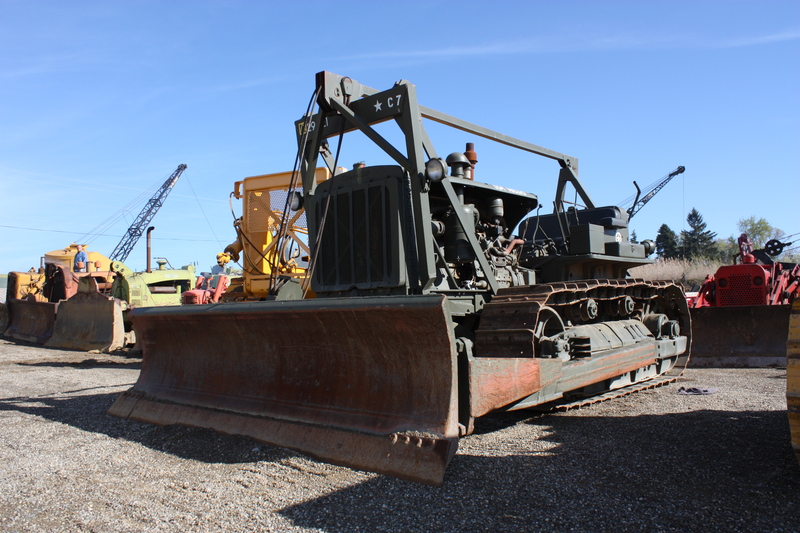 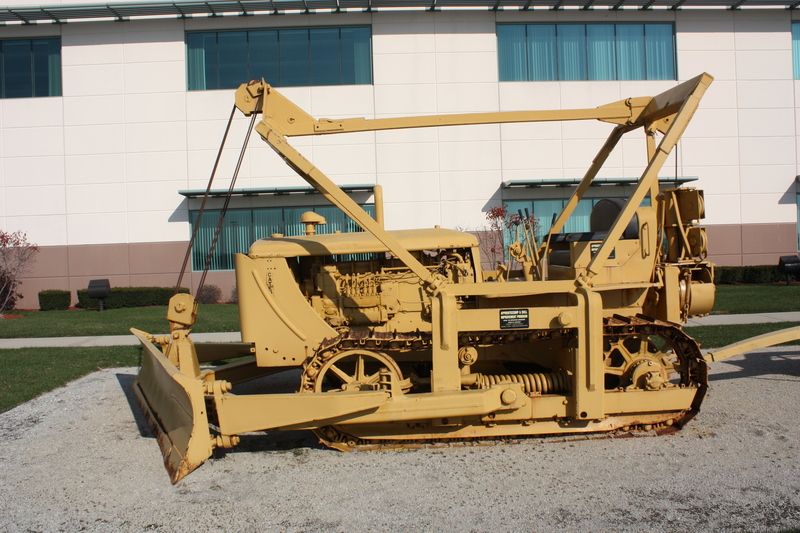 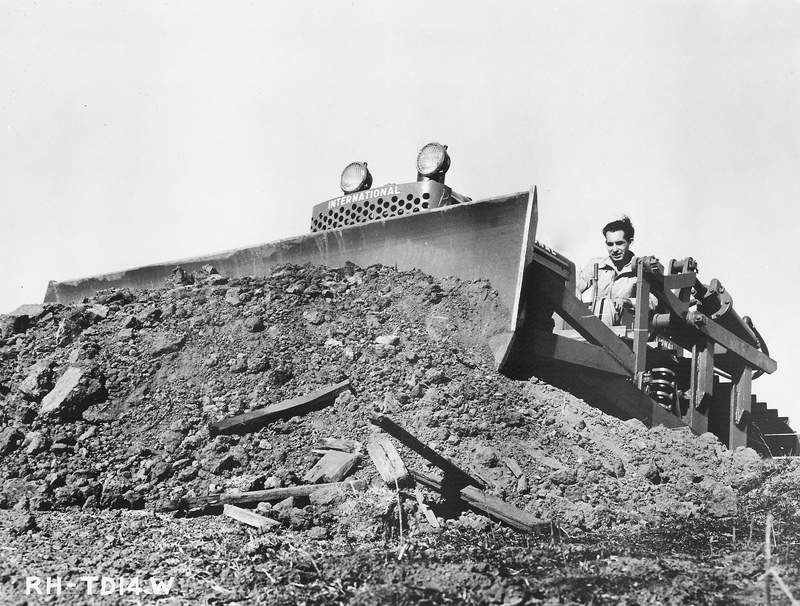 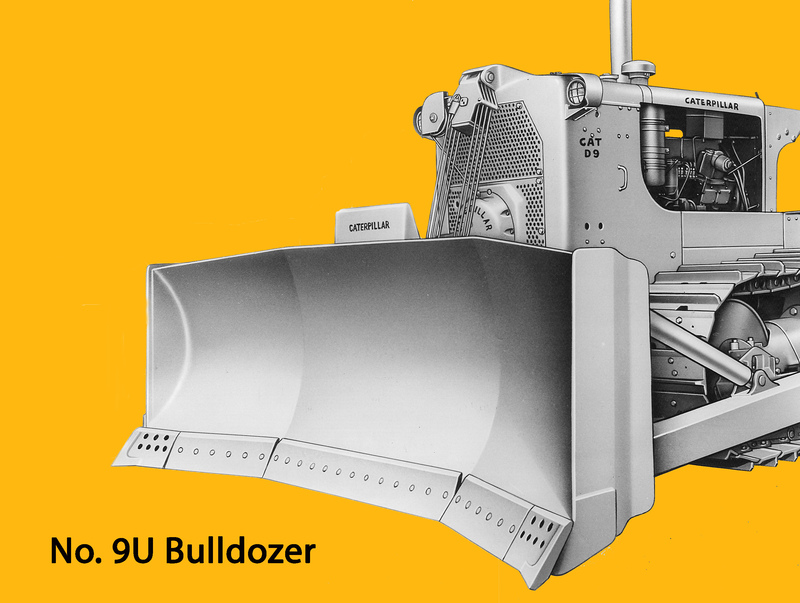 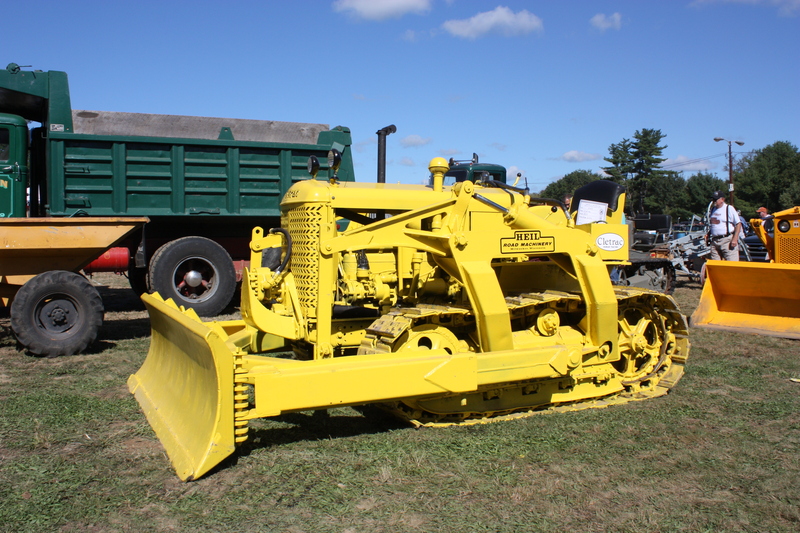 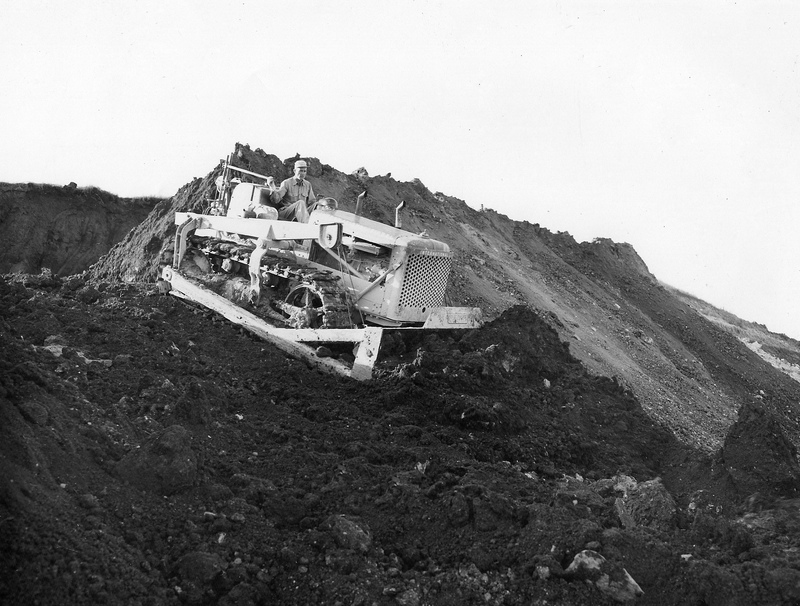 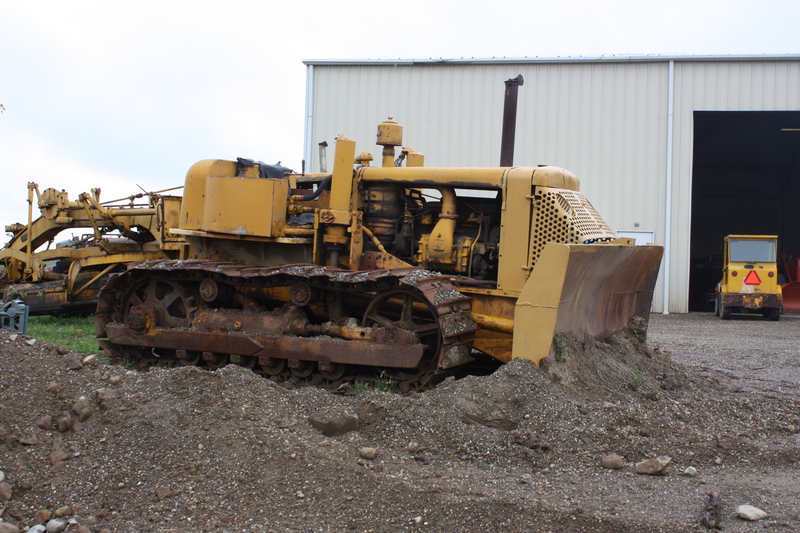 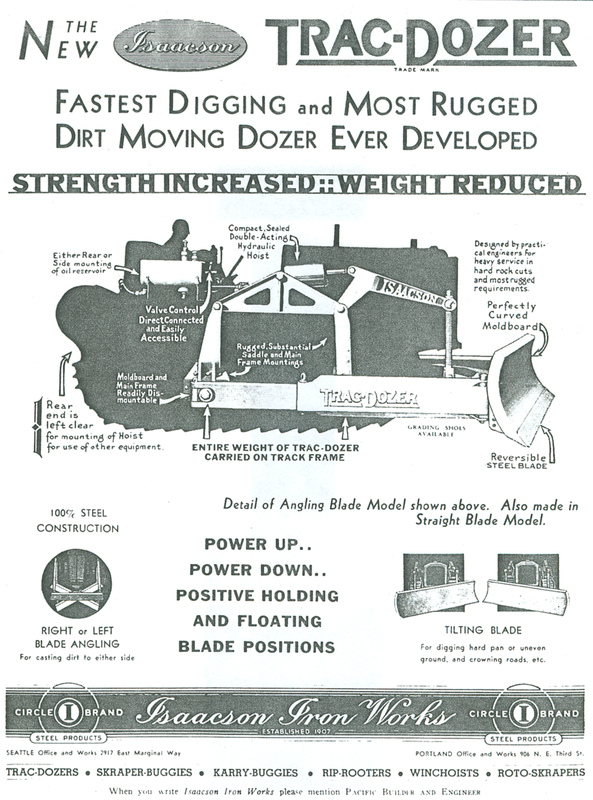 One of the earliest dozer blades made. 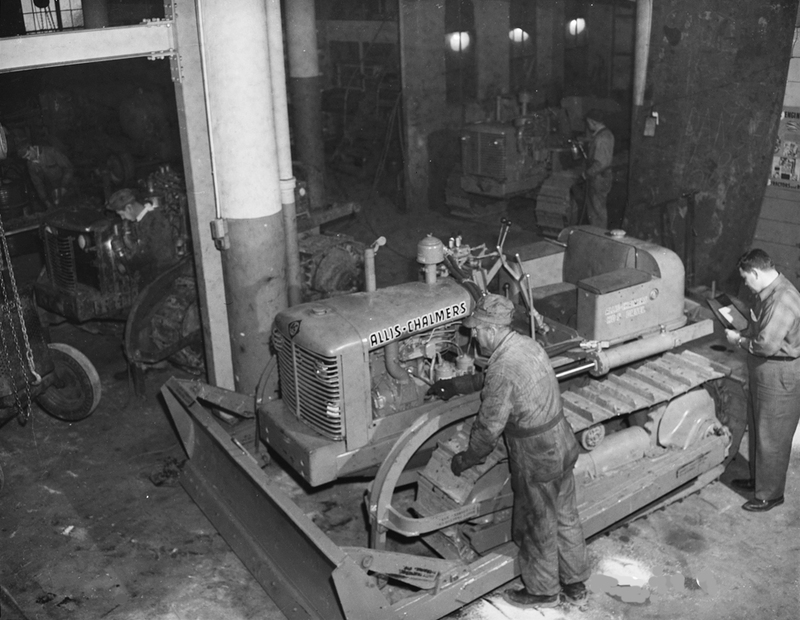 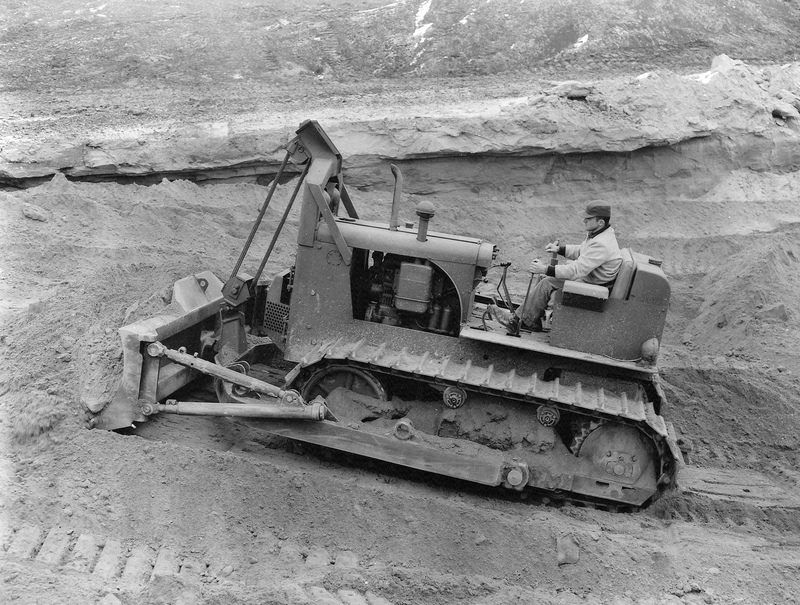 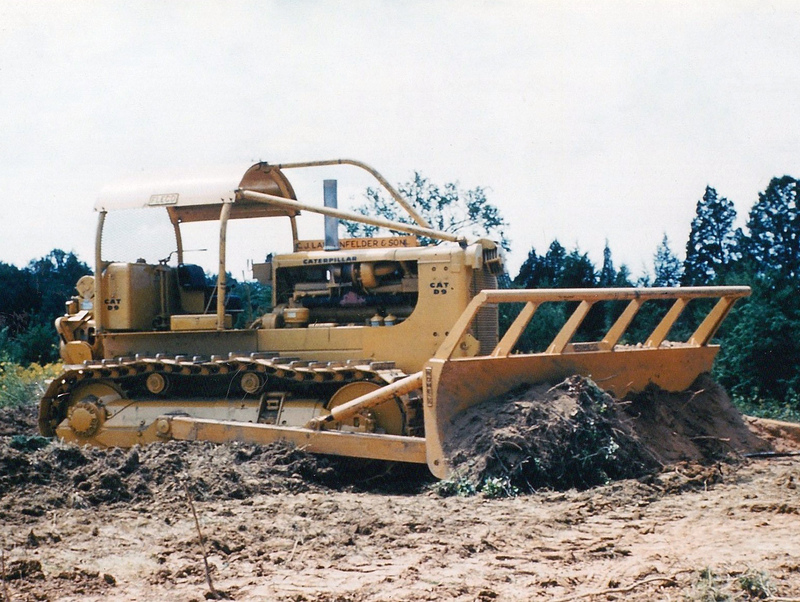 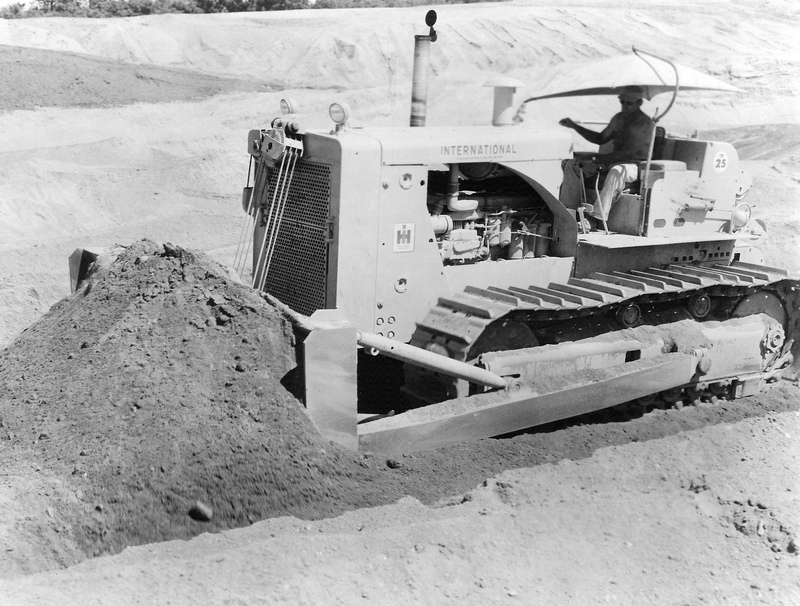 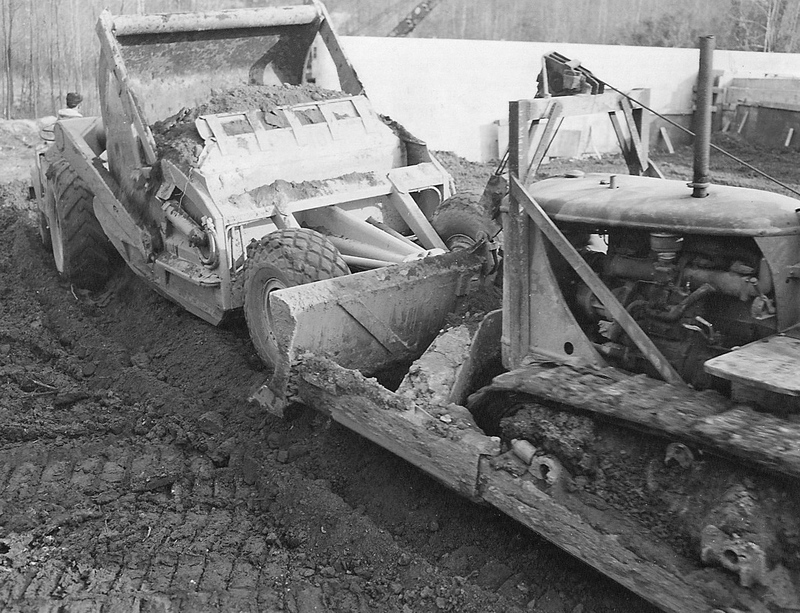 Rome KG land-clearing blade on a Caterpillar D-9 tractor, Dulles Airport, 1958. 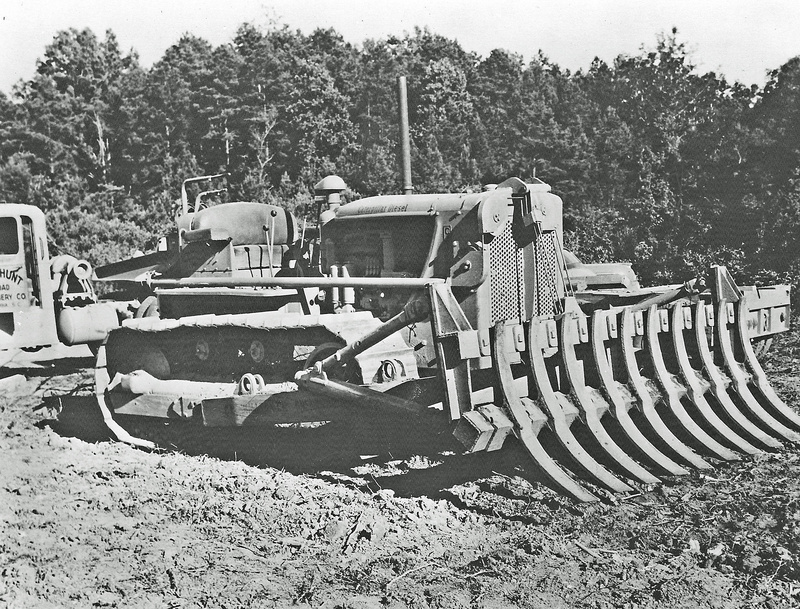 Heil cable blade on an Oliver OC-18 tractor.